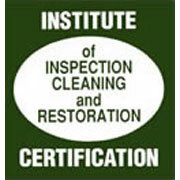 National Rug Cleaners has been servicing residents in the metro Atlanta area since 1997. During this time period, we have had provided high quality services and good old-fashioned workmanship to scores of residential and commercial clients. Our cleaning products are safe, non-toxic, environmentally friendly, pet friendly and biodegradable. National Rug Cleaners places the highest priority on servicing you as the customer, and our goal is to ensure you that we use only the safest and most effective products. Once again, we thank you for taking the time to browse our site; we hope that you will give us an opportunity to service your cleaning needs. Keeping in mind that your carpet is part of the filtration system of your home deodorizing carpeted areas combined with the steam cleaning of the areas helps to mitigate unpleasant odors left by: pets, spills, and wear. Deodorization also helps to eliminate odors that are caused by bacteria activity. If National Rug Cleaners is treating for strong odors caused by pet stains or smoke, an extra heavy deodorization/disinfectant is required. Once the steam comes in contact with these odors, which may or may not be noticeable, before the cleaning; they will definitely be noticeable at the time of cleaning. Using the extra heavy deodorization will help make the unpleasant odors more tolerable. Once the carpet is cleaned and dry, these odors become less noticeable. Applying a carpet/upholstery protectant is recommended for high traffic areas and fine upholstered fabrics. Carpet/upholstery protectant works to help your carpets and upholstery stay cleaner, fresher and brighter longer. It protects against both oil and water based stains and helps carpet fibers and fabrics resist soiling. Carpet/upholstery protectant is effective against fruit drinks, soft drinks, coffee, tea and wine. National Rug Cleaners recommends applying carpet sealant/protection to upholstery and also in high traffic rooms and carpet in high traffic areas.